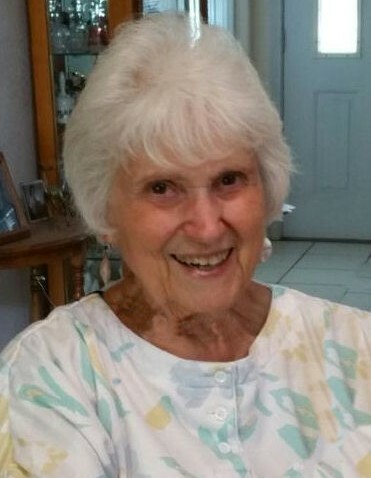 Cresey Cassie Bouchie passed away at age 91 on Aug 31, 2018. She was born on June 30, 1927 in Thomasville, Georgia to Charles Williams and Odell Thomas. She was married to Robert Francis Bouchie on January 29, 1962 in Las Vegas. Cresey has lived throughout the state of Utah in Newton, Brigham City, and Tremonton. She also spent time in Malad, ID, Santa Maria, CA, and on the Kwajalein Island. She was a bank teller in various banks throughout her life until she retired in 1992. Cresey was a member of the Church of Jesus Christ of Latter Day Saints. She also enjoyed doing ceramics in her spare time. She is survived by her son, Gary Baldwin, two grandchildren, seven great-grandchildren, and three great-great-grandchildren. Cresey was preceded in death by her son, Terry Lynn Baldwin; her husband, Robert Bouchie; and granddaughter, Jackie Goodey. Graveside services will be held on September 10, 2018 at 11:00 a.m. at the Wellsville Cemetery.